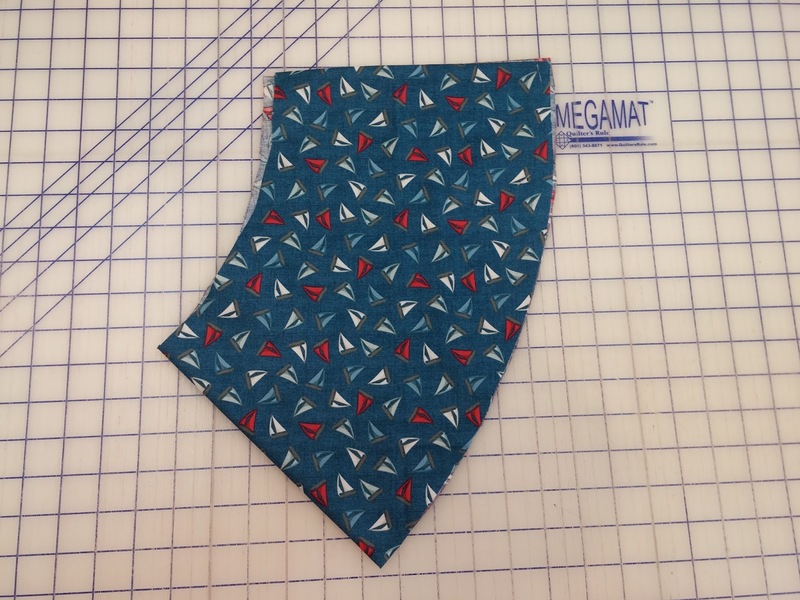 How long have you all been asking for projects for a little boy's room?! Well, we heard you loud and clear and we went ALL OUT for you! 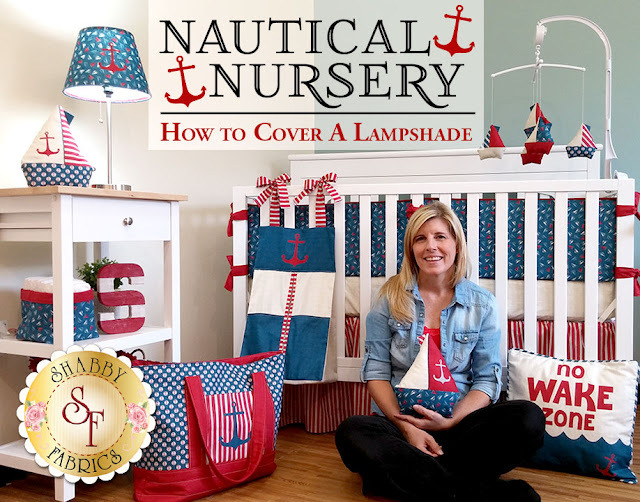 We have a new series of tutorials that will walk you through how to create a perfectly coordinated Nautical Nursery. 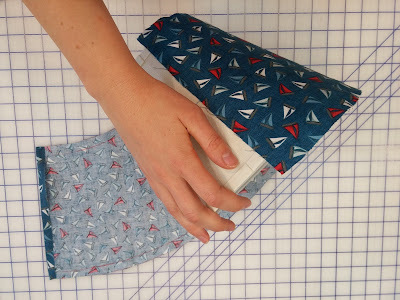 We will have a couple of projects here on The Shabby, as well as five video tutorials on our YouTube Channel! 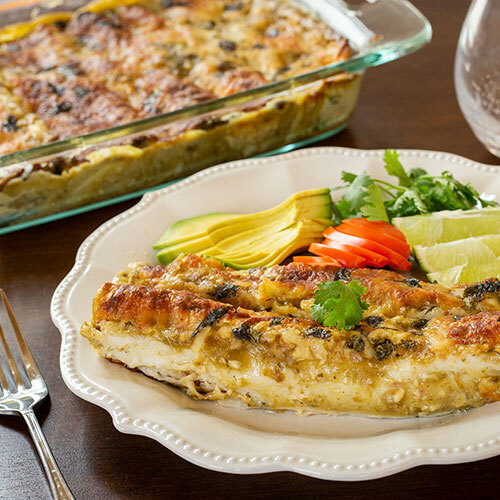 Click here to see all of the videos! *Approximately 1 yard. 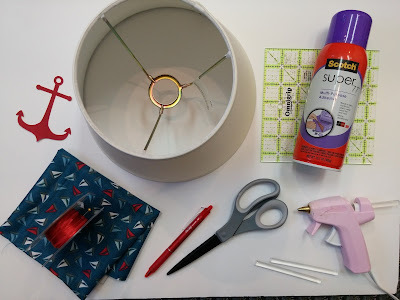 Amount will vary depending on size and style of lamp shade. To figure out how much fabric you need; place your lamp shade on a flat surface, seam down. 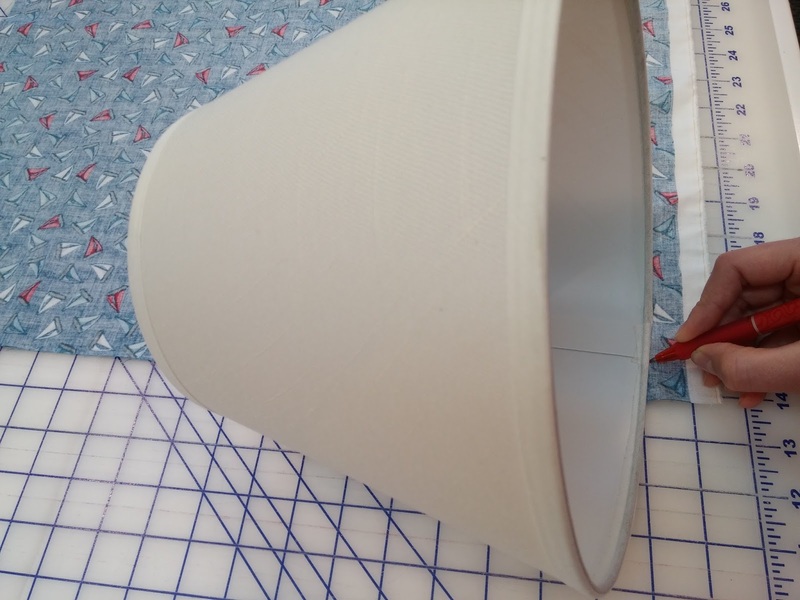 Slowly roll the lamp shade across the surface in either direction, until the seam reaches the table again. 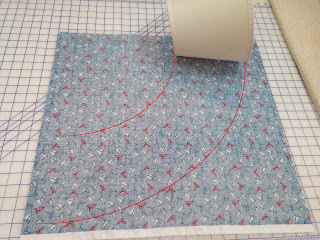 The length by width of this area plus 2-3 extra inches on each side, will be the amount of fabric needed. 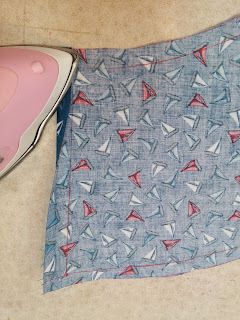 Step 1: Press your fabric and spread out on a flat surface. 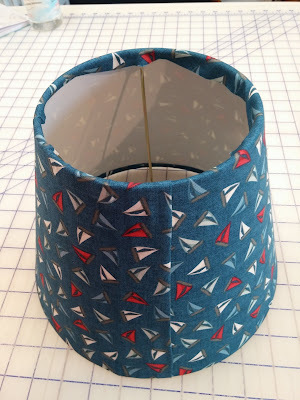 Step 2: Place the lamp shade an inch or two away from one of the bottom corners of your fabric. Make sure the seam on the lampshade is down and directly on top of your fabric. 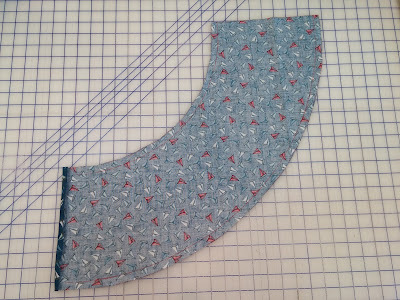 Step 3: Use a pen to mark your fabric where the top and bottom of the seam are. Step 4: Slowly roll the lamp shade across your piece of fabric, tracing the bottom edge with your pen as you go. 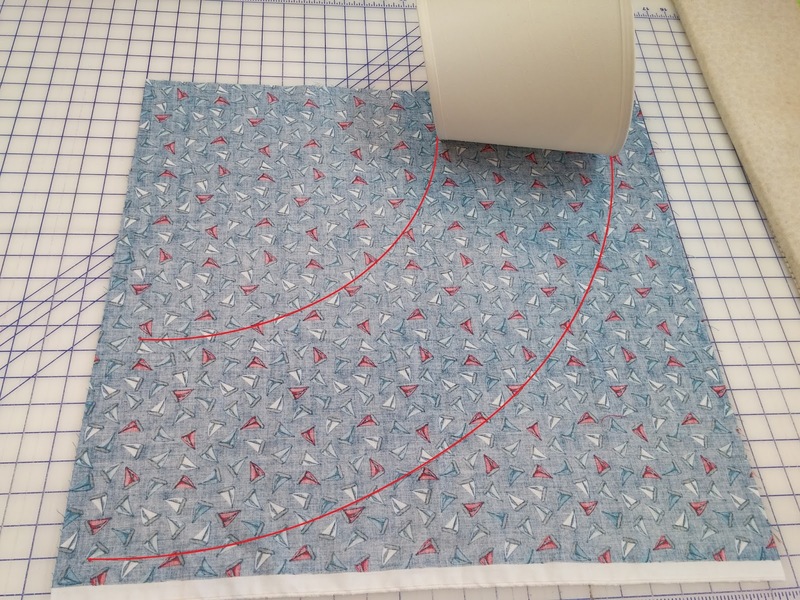 Stop when the seam reaches the table again. Mark this spot with your pen. Step 5: Place the lamp shade back in the starting position and repeat for the top edge of the lamp shade. 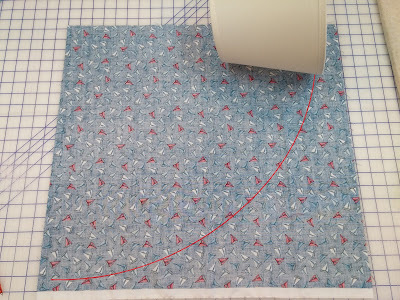 Step 6: Use a ruler or other straight edge and connect the two lines at the beginning and end. 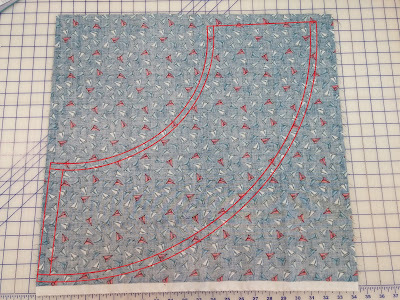 Step 7: Draw a line around the outline adding 1” to one of the ends and about ½” to the top and bottom. 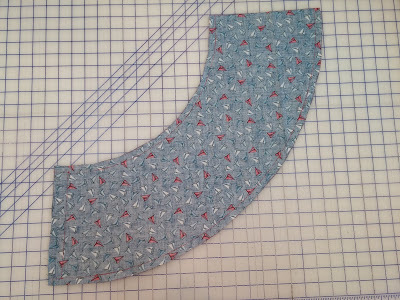 Step 8: Cut out this shape. 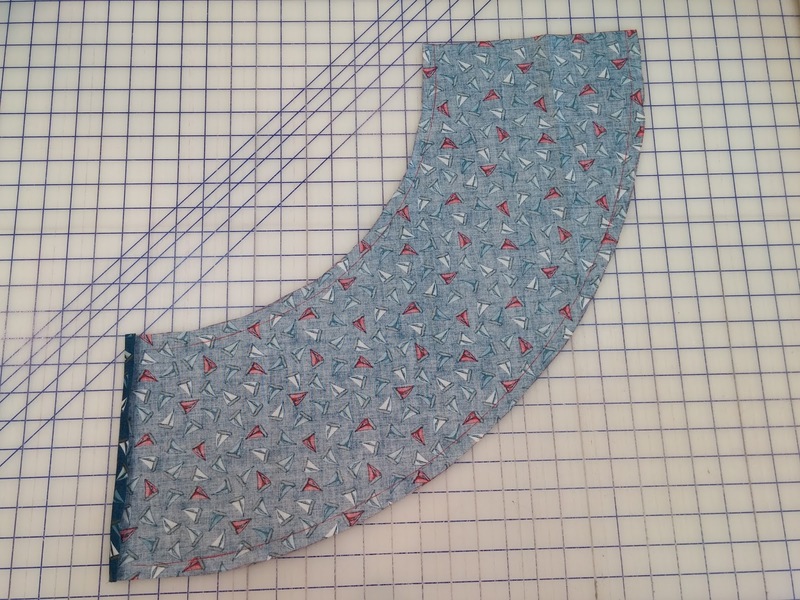 Step 9: On the end where you added 1”, turn and press the edge under ½”. 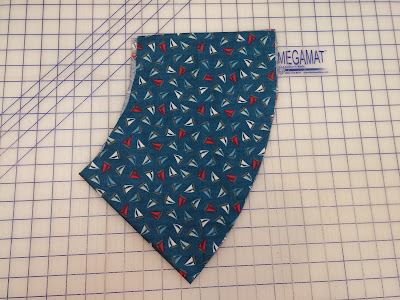 Step 10: Fold the piece of fabric in half to find the center. Press to create a crease. Use this as a guide for placing your Shabby Shape (if using one). Iron in place. 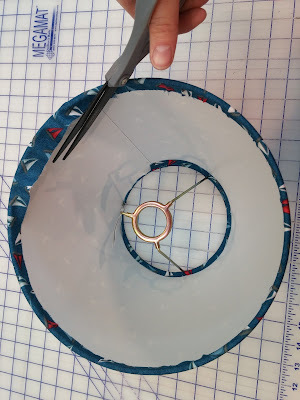 Sew around the edges to secure if desired. 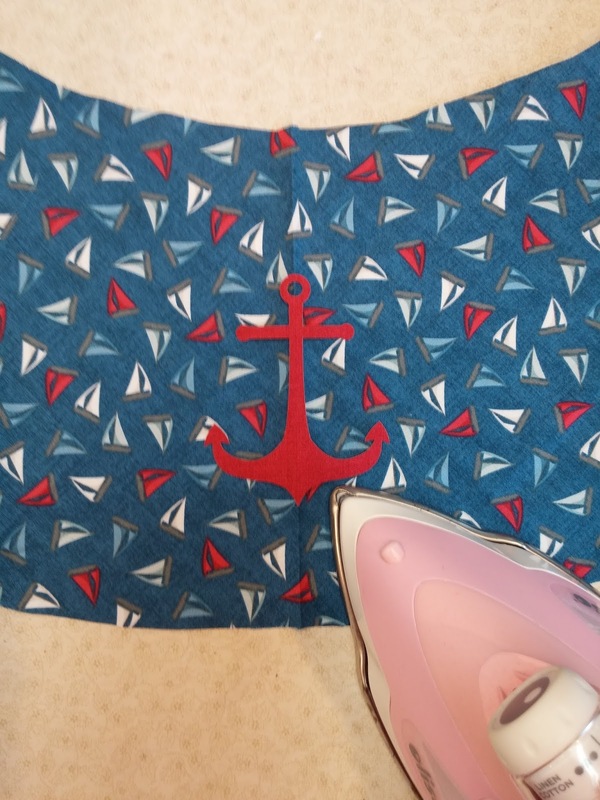 Step 11: Place your fabric piece right side down on top of a protected surface. Slowly and evenly spray with adhesive. Do this outside, if possible. If not, be sure to open windows for ventilation! 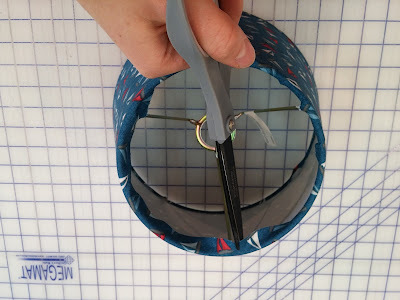 Step 12: Align the seam of the lamp shade with the raw end of the fabric (not the end you pressed under). Slowly roll the lamp shade onto the fabric. Smooth any bumps as you go. 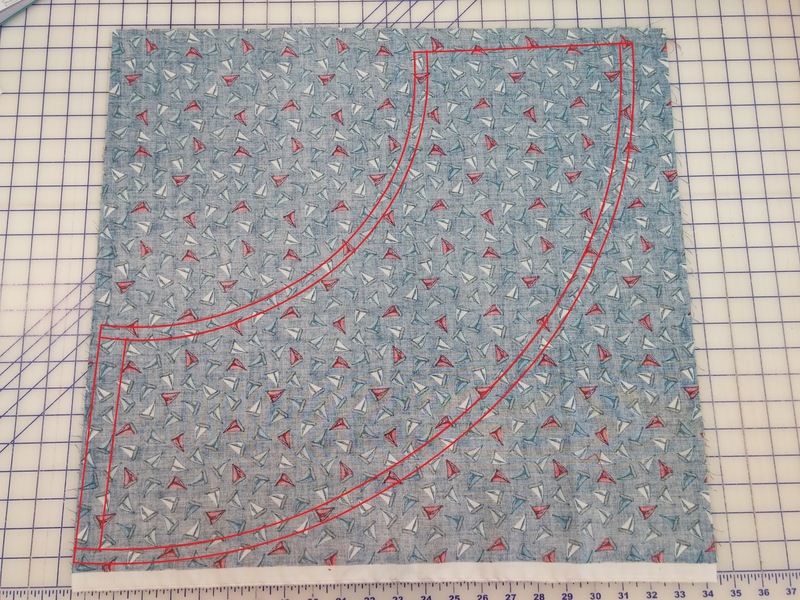 Check that your shabby shape is oriented properly if using one. 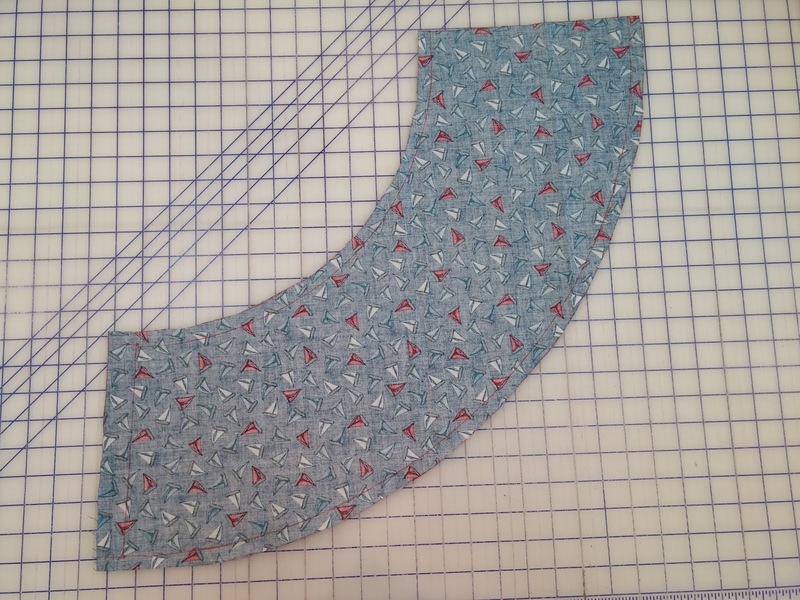 You will probably have to peel the fabric off and start over a few times until it is aligned properly. This is okay. 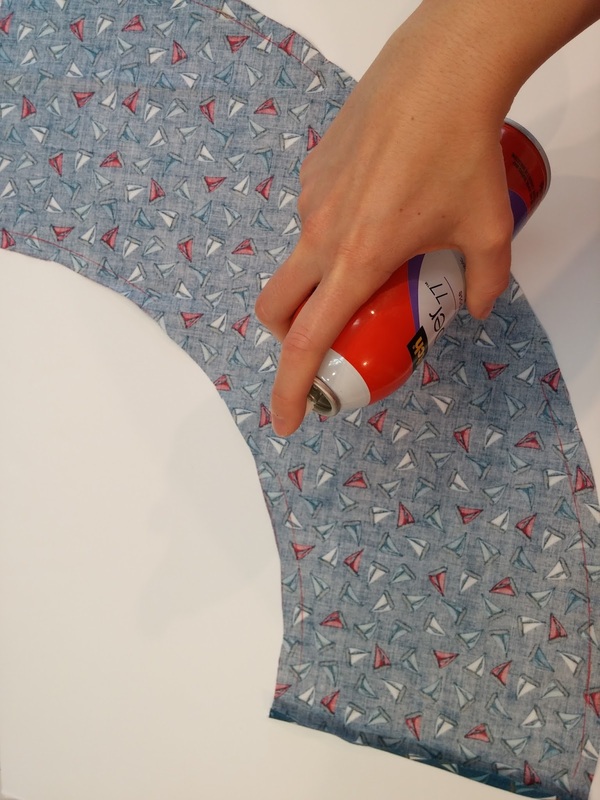 The spray adhesive will stay tacky for several minutes, so take your time. We will also secure the edges with hot glue in the final step. 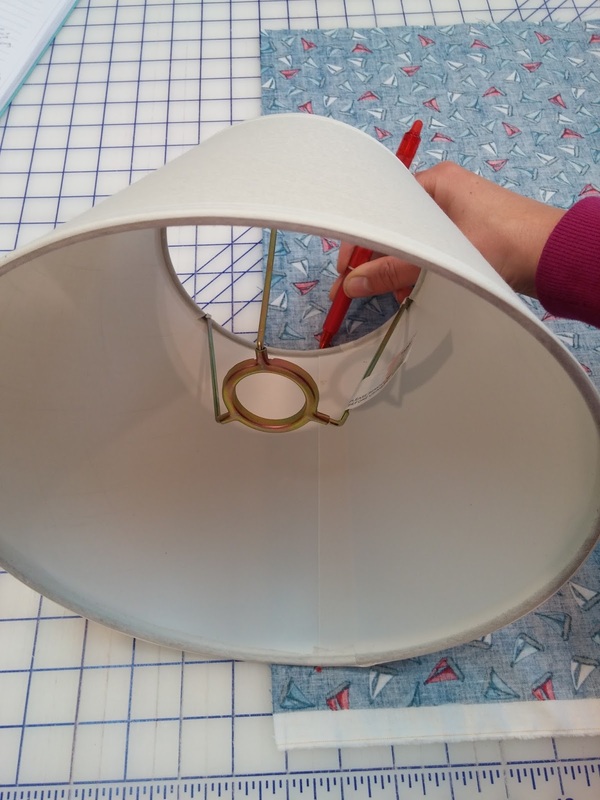 Step 13: Once the fabric is rolled onto the lamp shade, wrap the edges around the top and bottom of the lamp shade. Snip the fabric so it fits around the metal prongs of the lamp shade if needed. Trim any excess fabric that is wider than your ribbon. 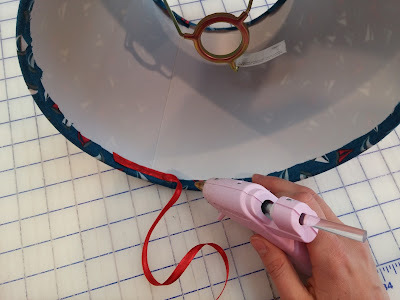 Step 14: Using a hot glue gun, attach ribbon to the top and bottom of the lamp shade over the raw edges of fabric.